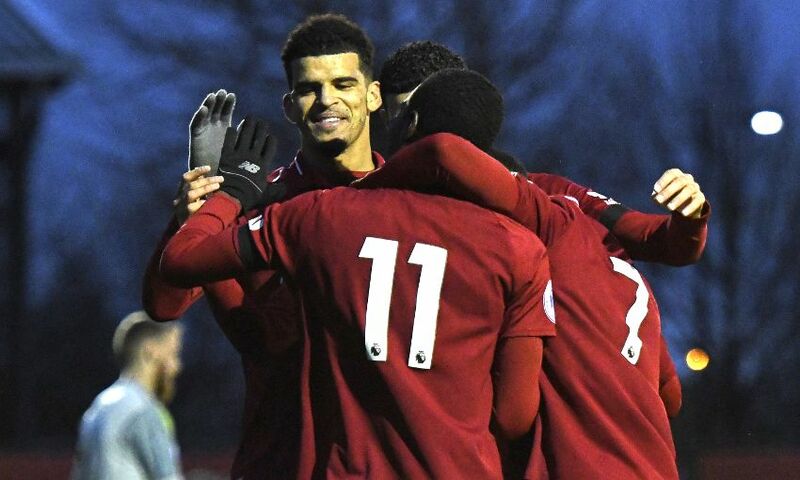 Liverpool U23s got back to winning ways with a 3-1 victory over Leicester City in Premier League 2 on Saturday afternoon. Matty Virtue, Isaac Christie-Davies and Dominic Solanke were the goalscorers for the young Reds at the Academy as they responded immediately to Monday night’s narrow defeat by Blackburn Rovers. 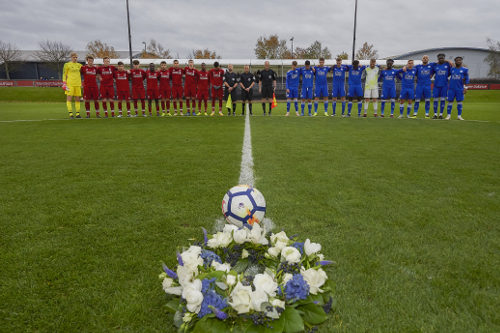 Before kick-off, Liverpool captain Virtue presented the visiting team with a wreath as a mark of respect following the tragedy that unfolded at Leicester’s King Power Stadium last Saturday. The wreath was laid in the centre circle as a minute’s silence was then observed before the game got under way, and the players wore black armbands. Virtue’s sixth goal of the season gave his side an advantage with just 11 minutes on the clock and nothing else separated the teams after a tight first half in Kirkby. But Liverpool made sure of all three points with a flurry deep into the second half as Christie-Davies and Solanke – who clocked up the full 90 minutes – struck for Neil Critchley’s charges. Calvin Ughelumba’s last-minute effort for Leicester proved mere consolation. Reflecting on the victory, Critchley told Liverpoolfc.com: "We played very well and deserved the win, and it was a good response after last Monday's defeat at Blackburn. "We scored three good goals and it was great to see Dominic get a deserved goal. "He led the line really well for us and was bright and made a big contribution." Liverpool U23s: Kelleher, N. Williams, Johnston, Masterson, Lewis, Chirivella, Christie-Davies, Virtue (Juanma, 79), Adekanye, Camacho, Solanke. Unused substitutes: McKenzie-Lyle, Gallacher, Millar, McAuley.